Prices going up Nov 1st, trim notices are out and values went up 14%! Vacant lot. Build your dream home now on this lot that sits inside the gates of Andalucía with views that are incredibly beautiful. The sunsets are breathtaking. 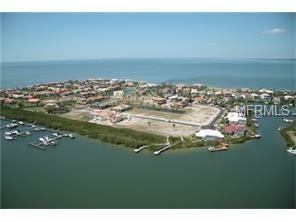 There is a community club house with pool on Tampa Bay, Clay Tennis courts, Marina, and a 250 foot Jetty on the bayside. Easy access to I-75, US 41, US 301, Tampa International Airport, St. Pete, Downtown Tampa, The Beaches, Performing Arts Center, 20 minutes to Ellenton Outlet Mall plus the NFL and MLB and only an hour and change to Disney World, Sea World and Universal. There are 9 nine golf courses in the area. Call today for a personal tour of this community.